Driving is a privilege that millions of people in Florida enjoy, but it also is one that can be revoked by the Department of Highway Safety and Motor Vehicles. Drivers can lose their right to get behind the wheel for several reasons, including being labeled as a habitual traffic offender. Someone classified as a habitual traffic offender in Florida could face potentially harsh penalties that include jail time, fines and permanent revocation of your driver’s license. A habitual traffic offender in Florida is defined as someone who has accumulated a certain number of criminal convictions or offenses within a five-year period. If you have been charged as a habitual traffic offender in Leon County, an experienced attorney at Pumphrey Law can analyze the facts in your case to have your charge dropped or reduced or aid you in resolving the underlying charges resulting in your status. Our attorneys are knowledgeable about Florida’s traffic laws and can work toward a positive resolution for your alleged offense. Pumphrey Law represents drivers throughout the Florida Panhandle, including Tallahassee in Leon County, Monticello in Jefferson County, Crawfordville in Wakulla County, Quincy in Gadsden County and Bristol in Liberty County. Call (850) 681-7777 to schedule a free evaluation. Habitual traffic offender status also can result from 15 convictions for moving traffic violations within five years under the Florida point system. Someone who has been labeled a habitual traffic offender faces a license suspension for up to five years. If you are caught driving as an HTO, you can face a conviction of a felony of the third degree. This felony can involve Florida prison time of up to five years, fines up to $5,000 or both. Under Florida’s point system, various traffic violations have points assigned to each violation in order to determine if someone’s license should be suspended. Numerous traffic violations will lead to excessive points, and a higher likelihood that a driver will be classified as an HTO. You may be eligible to receive a hardship license to drive to and from work even if you have been classified as a habitual traffic offender, and your license has been suspended for a period of five years. You will not be eligible to receive a hardship license for the first year after your license has been revoked. However, after the first year your license was suspended, you can apply for a hardship license through the Administrative Review Office. Your attorney will file a petition on your behalf to receive a hardship license after you have completed the Advanced Driver Improvement School. If alcohol was involved in your HTO status, then you will also be required to attend Driving Under the Influence classes. The Florida Department of Highway Safety and Motor Vehicles will then conduct an investigation into your fitness and qualifications to drive. Upon the investigation, an administrative hearing will be held to determine if your driving privileges can be restored completely or only for work-related purposes. Being considered a habitual traffic offender may seem like a stigma you cannot overcome. However, there are defenses to consider when trying to keep your right to get behind the wheel. A skilled criminal defense lawyer in Tallahassee can file a motion to vacate or a motion to set aside a conviction. These motions basically request the court to set aside a previous judgment or court order. Someone who is a habitual traffic offender has up to two years after his or her license was revoked to file this motion. Someone driver who believes their driver’s license has been suspended for an unjustified legal reason can request an administrative record review hearing. Someone in this situation only has 30 days after their license was suspended to make this request. Reasons justifying an administrative review hearing include: information was inaccurately recorded on the citation, mistaken identity, errors on your Florida driving record, or more than five years separated the three violations leading to your habitual traffic offender status. If your driver’s license has been suspended for five years as a habitual traffic offender in Florida, contact Pumphrey Law to discuss the facts of your particular case. An experienced traffic lawyer in Tallahassee may be able to find a defense or other ways to reduce your charge or have it dropped altogether. 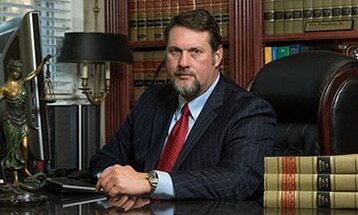 Contact us at (850) 681-7777 for a free consultation about your alleged traffic offenses.